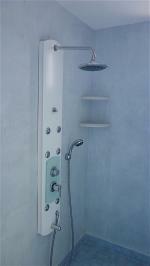 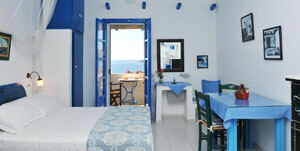 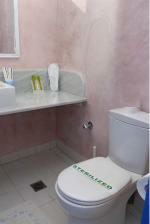 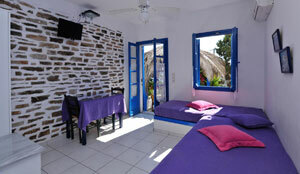 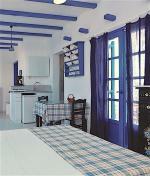 Dolphin offers in the building No 4 an one-room suite of 30m2 upon the first floor which can accommodate 2-4 peolple. 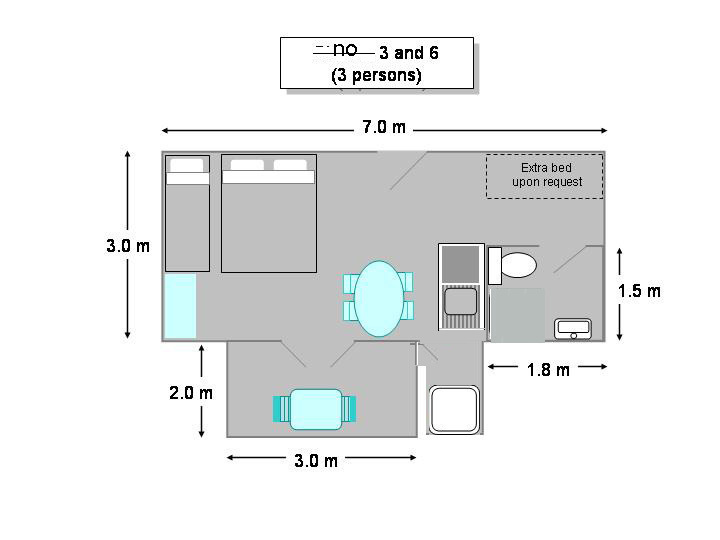 This suite consists of a double and a single built-in bed, TV, A/C, a small kitchenette, a WC and a separate cabin shower. 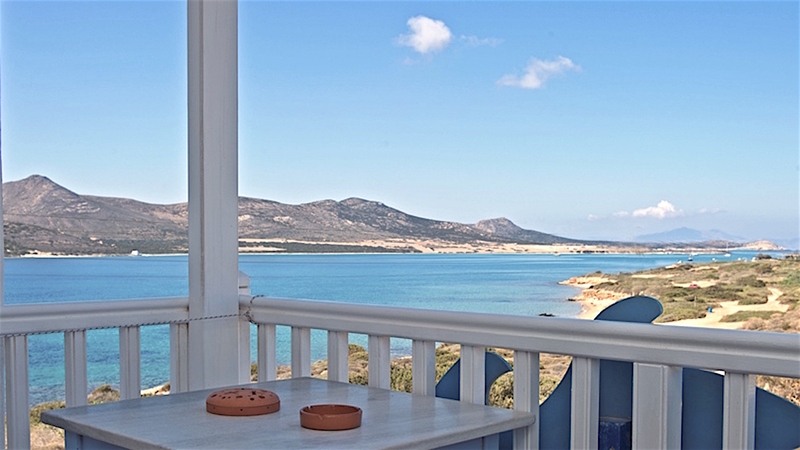 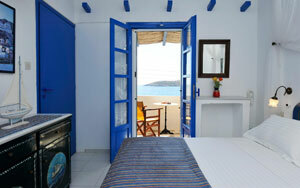 It has its furnished veranda which offers marvellous views to the sea, to St. George cove and the sunset. 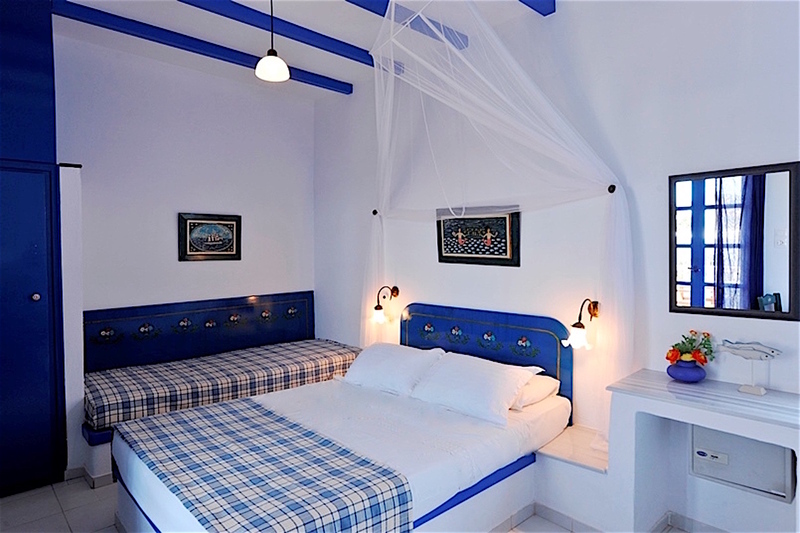 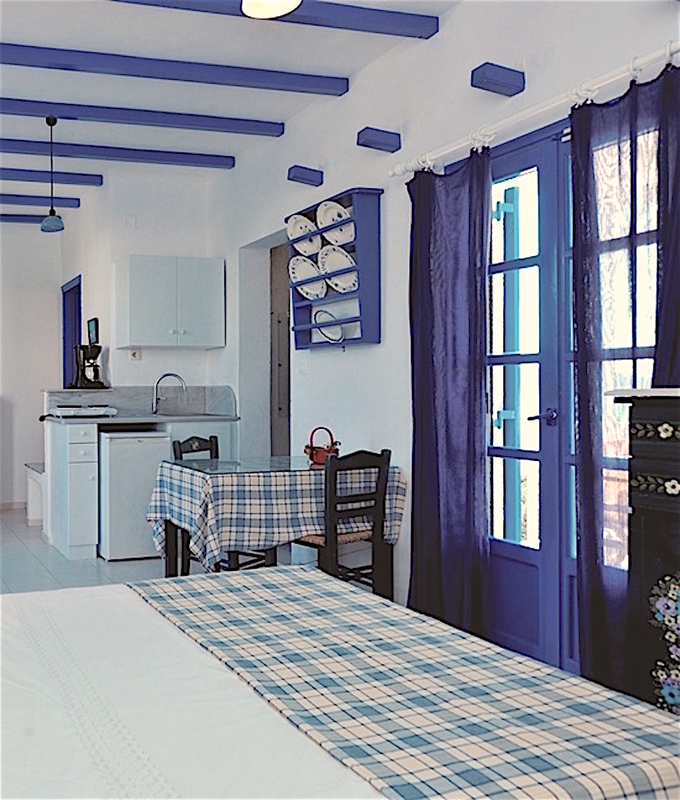 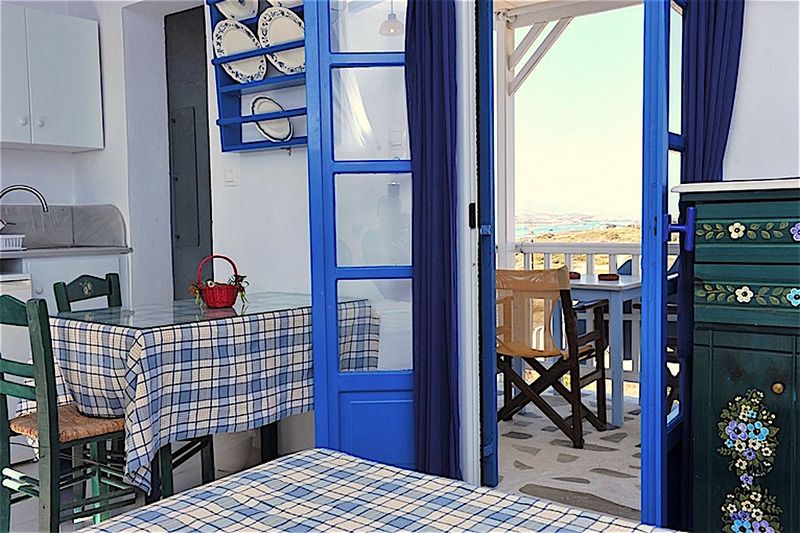 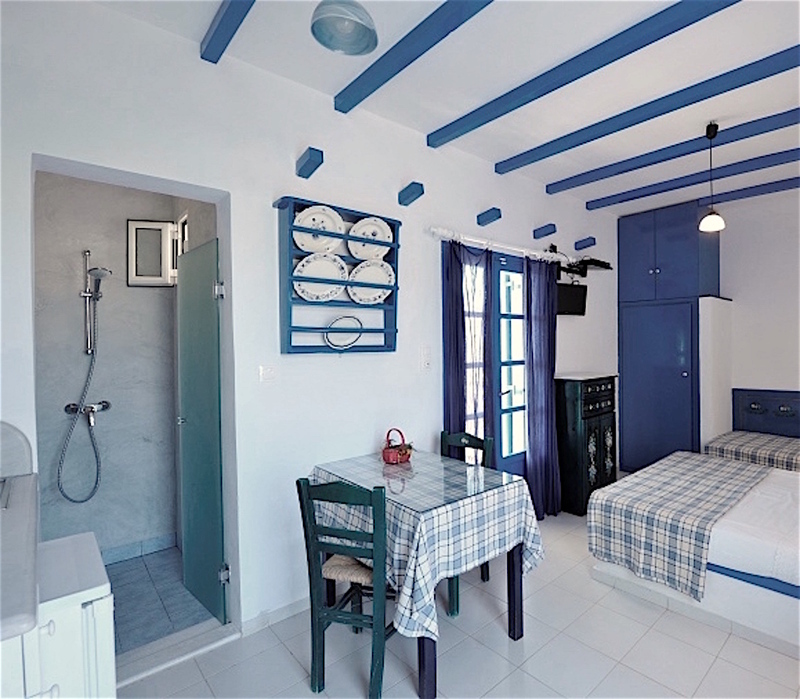 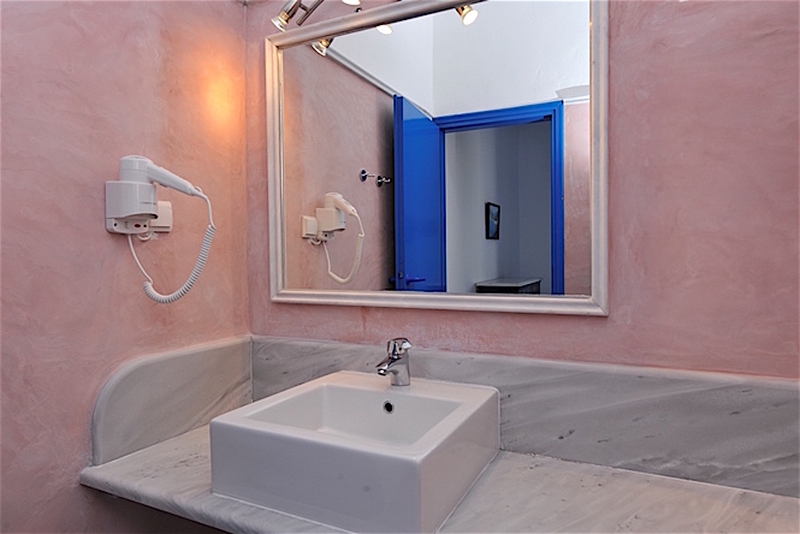 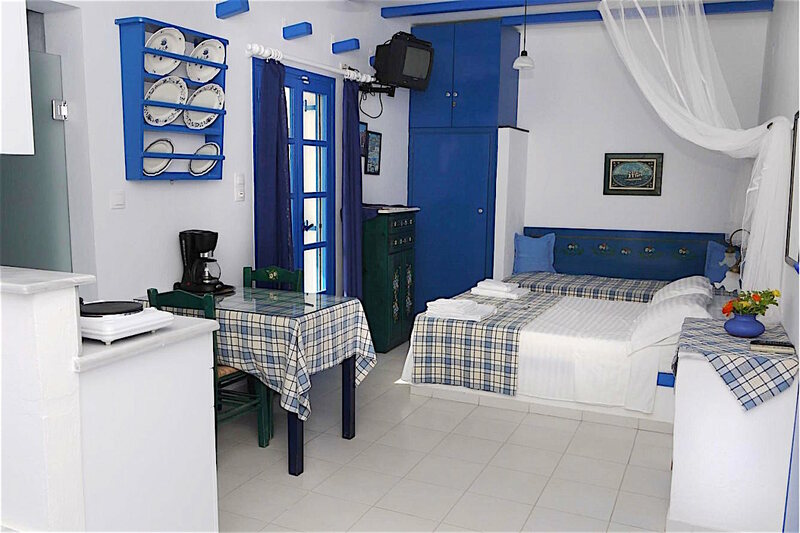 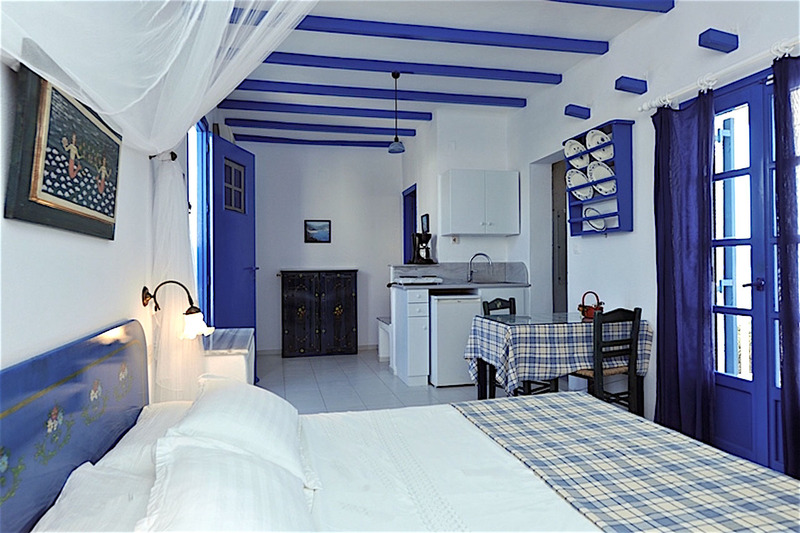 For more people than two the suite can accommodate 1-2 more children, each extra person is charged 20 Εuros per night and 30 euros per night the pick season.